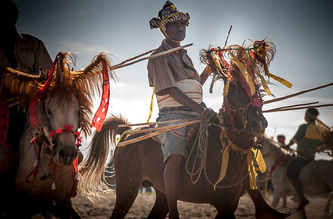 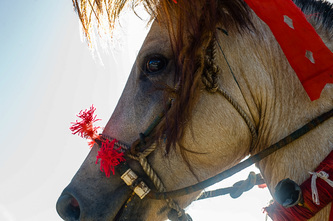 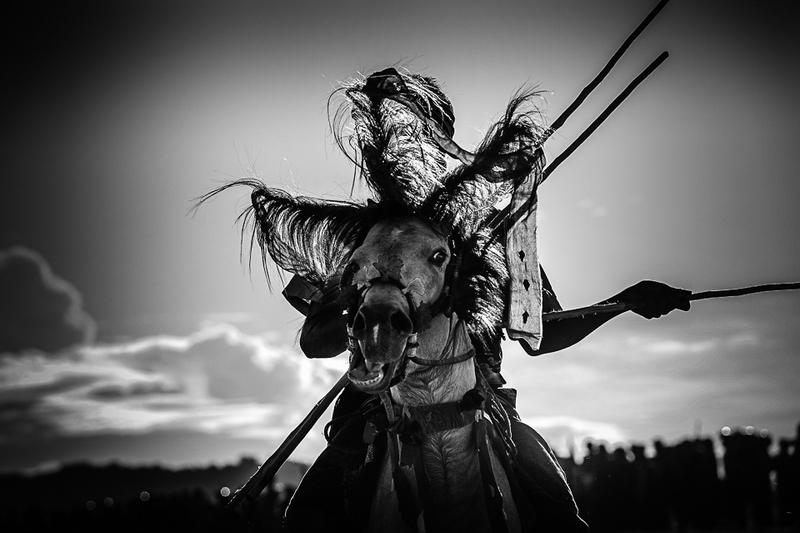 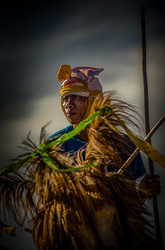 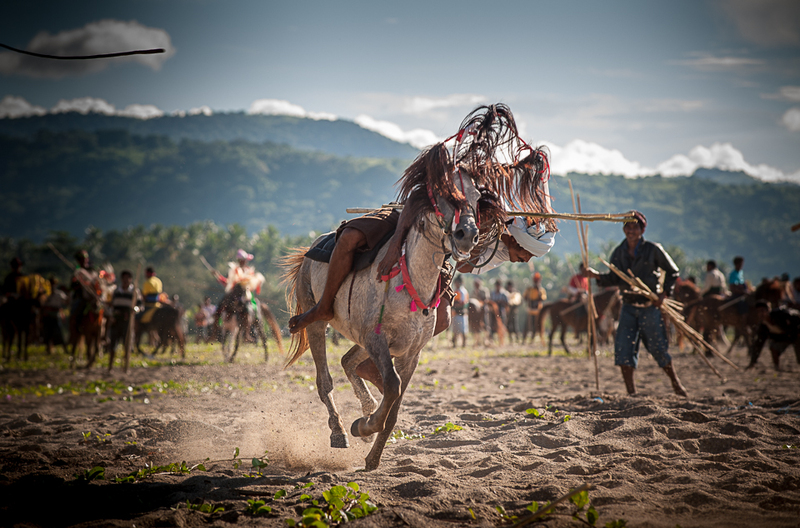 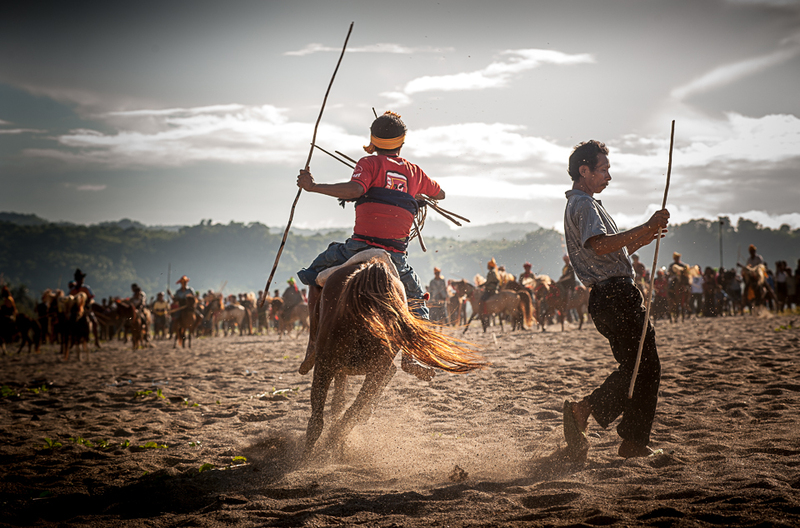 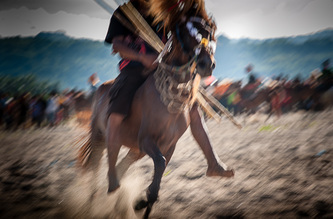 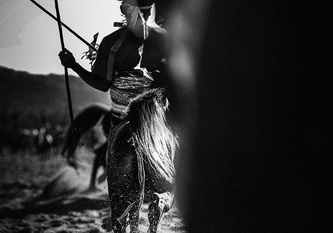 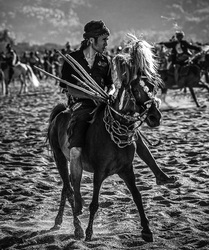 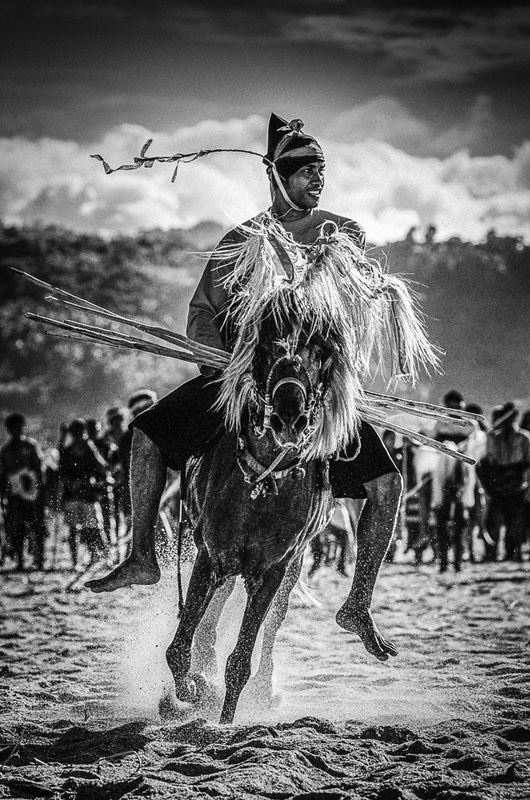 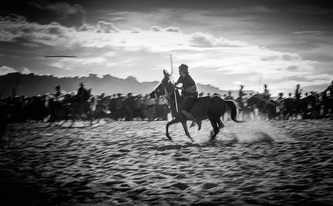 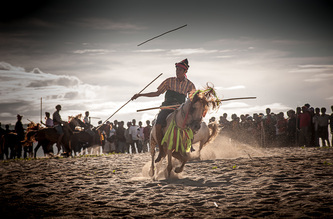 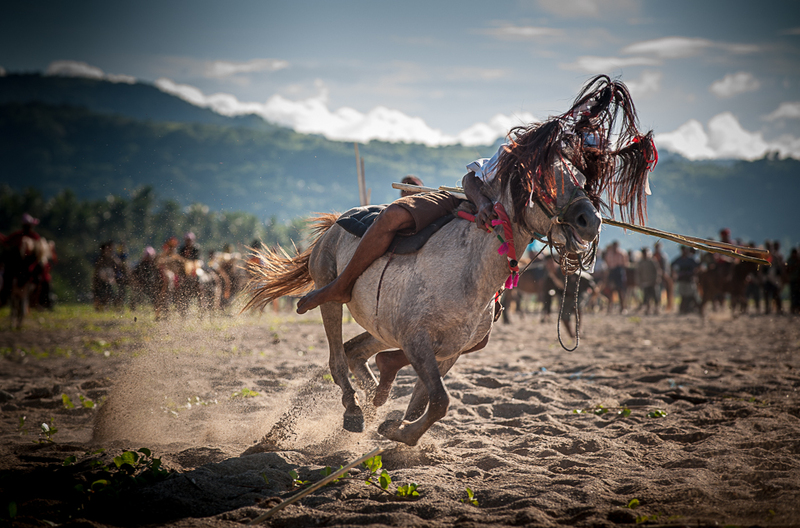 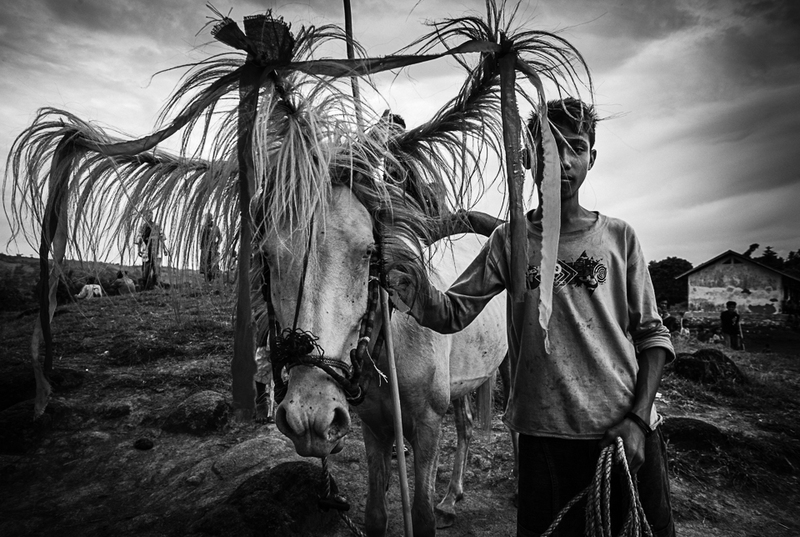 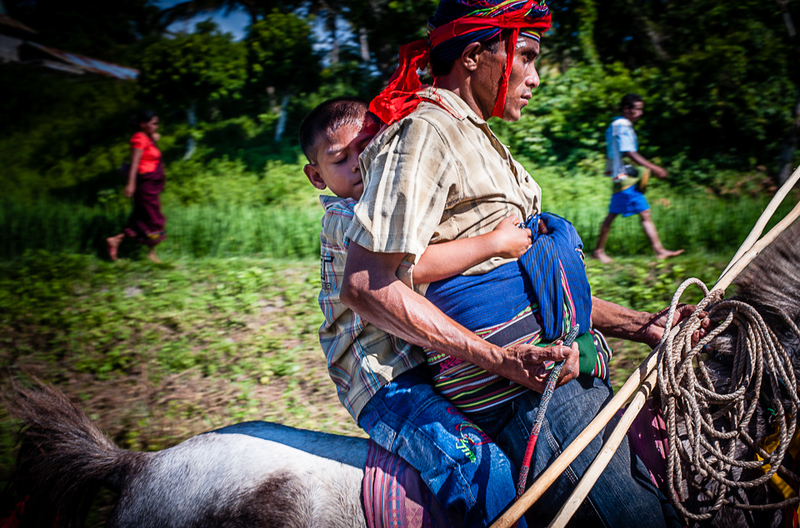 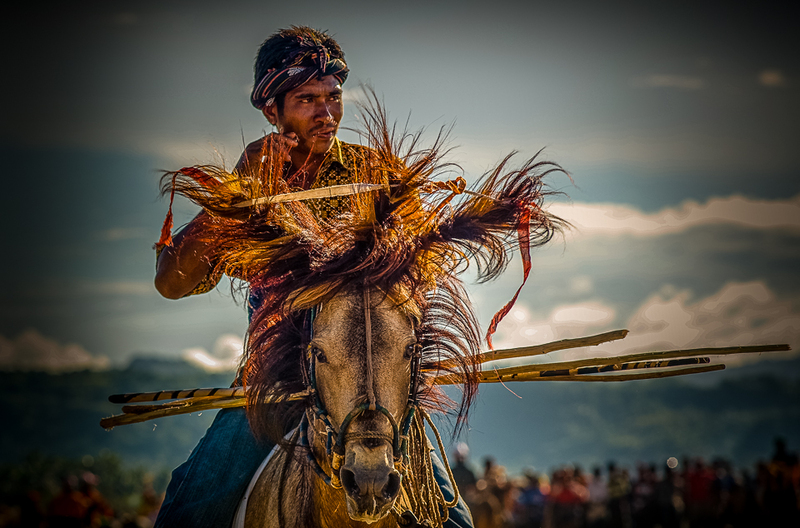 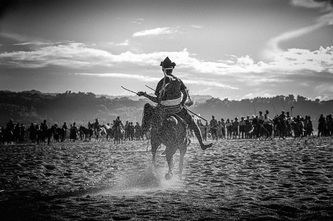 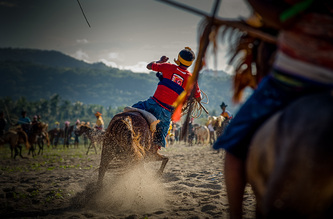 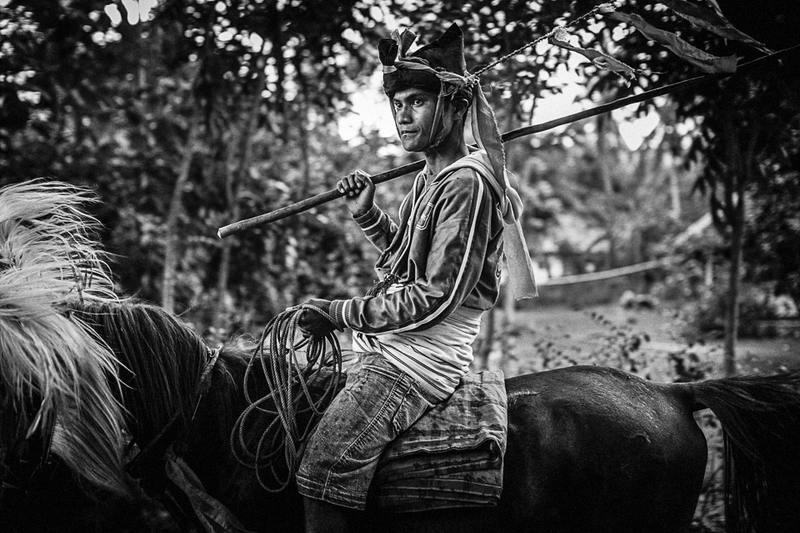 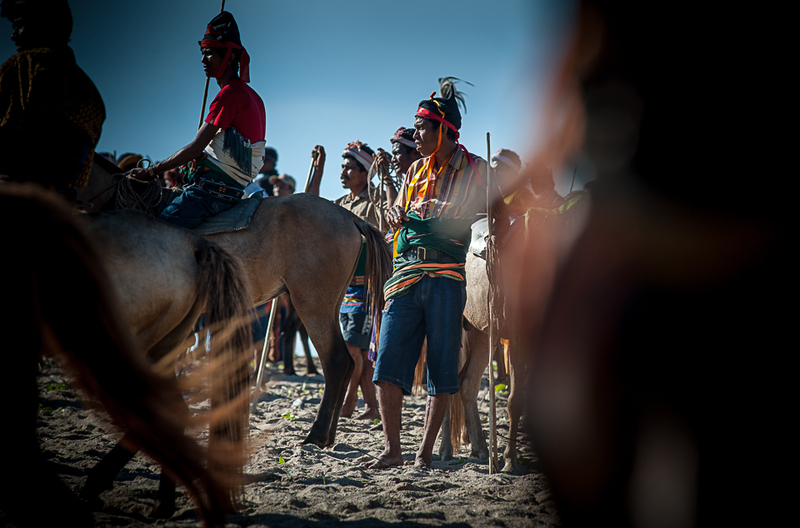 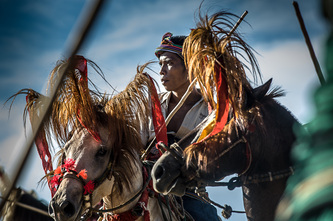 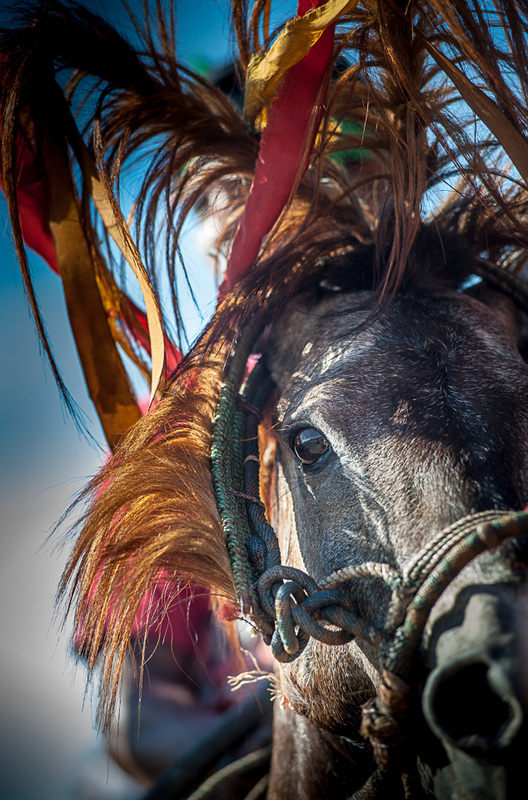 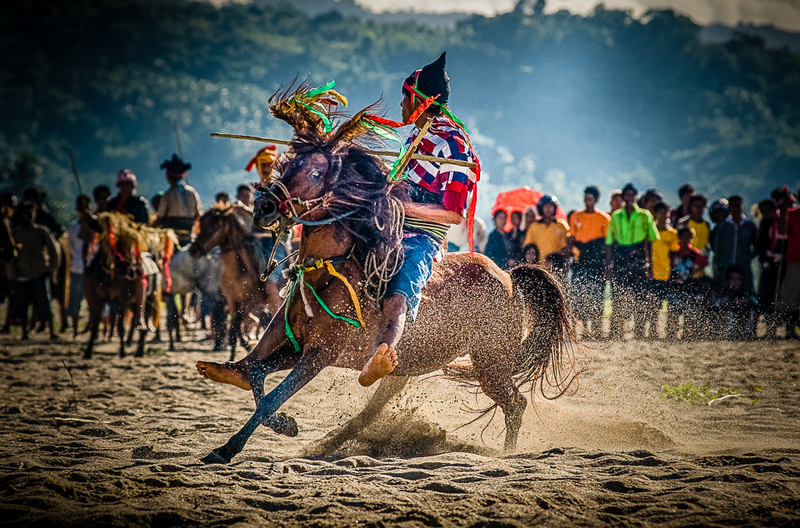 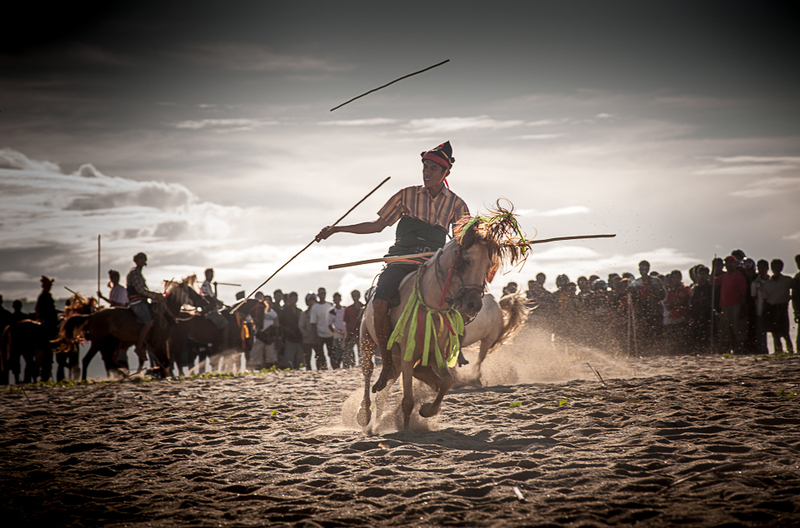 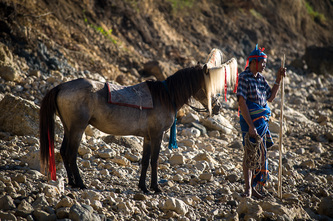 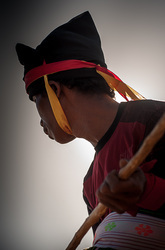 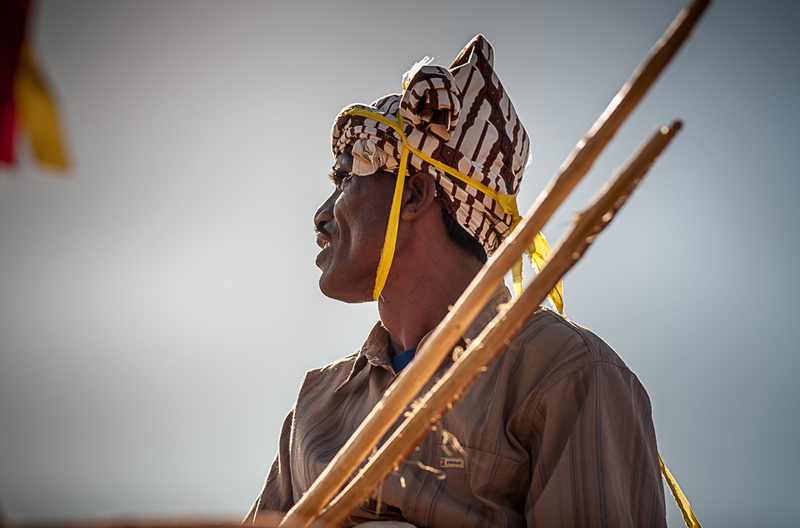 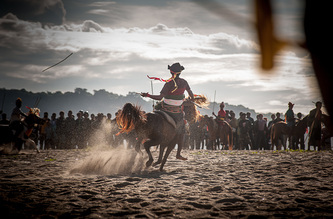 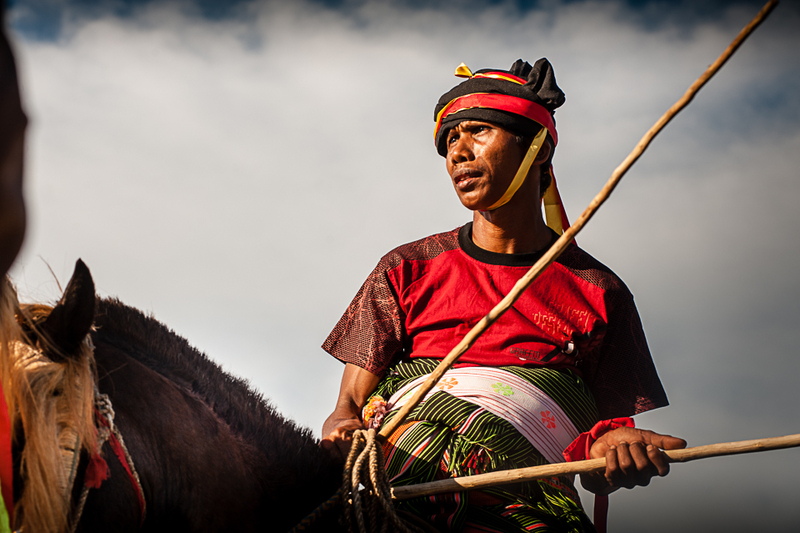 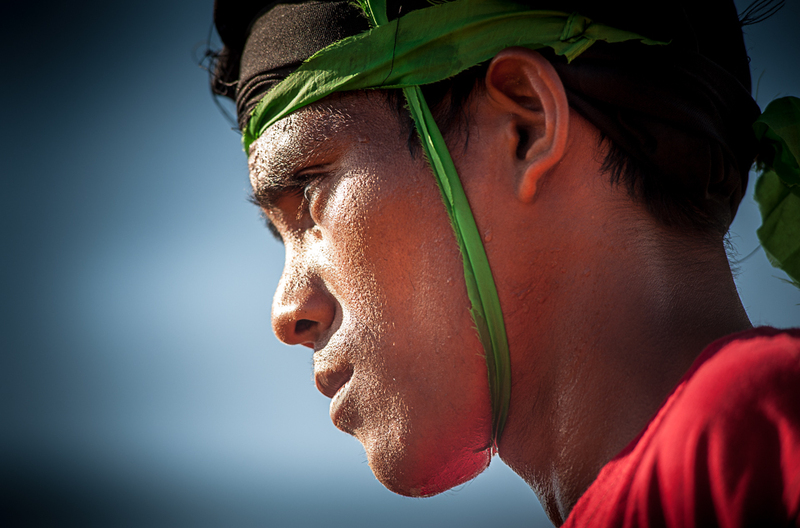 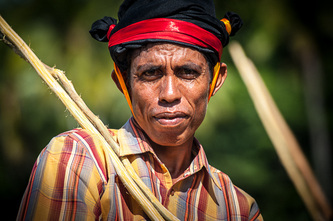 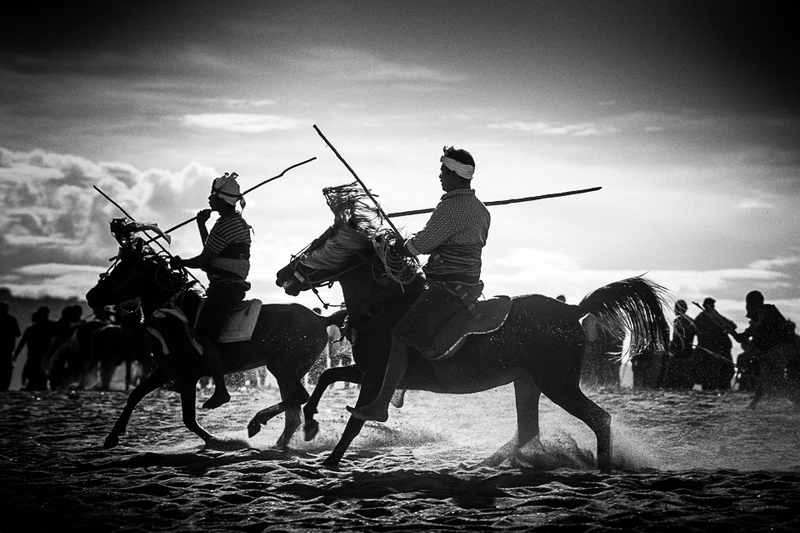 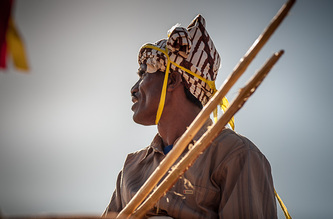 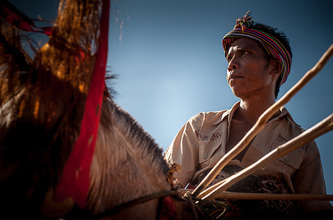 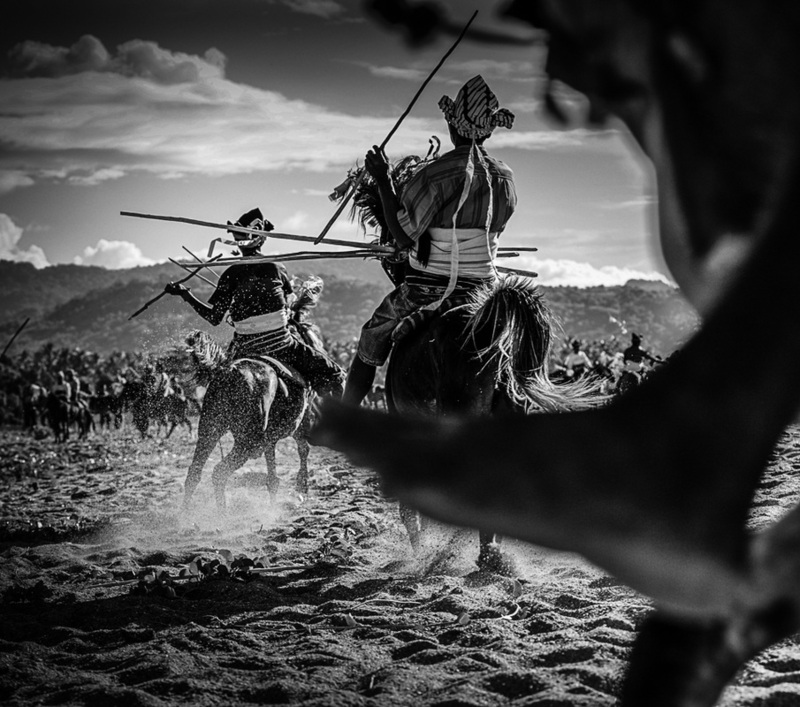 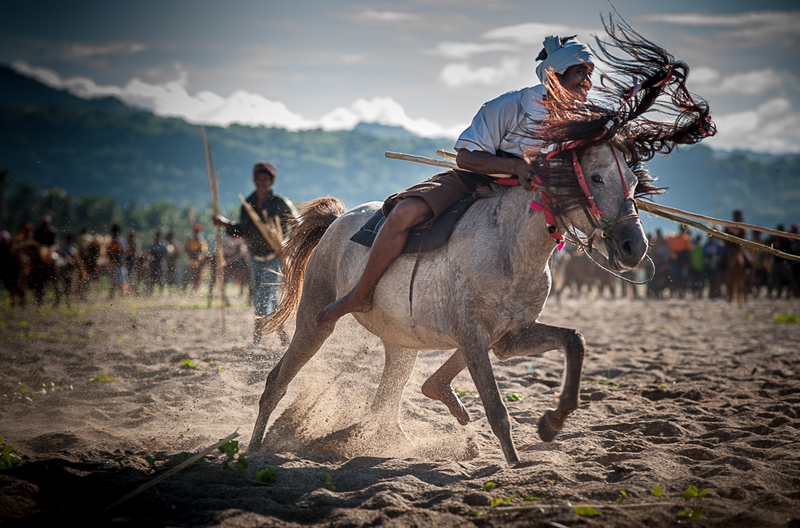 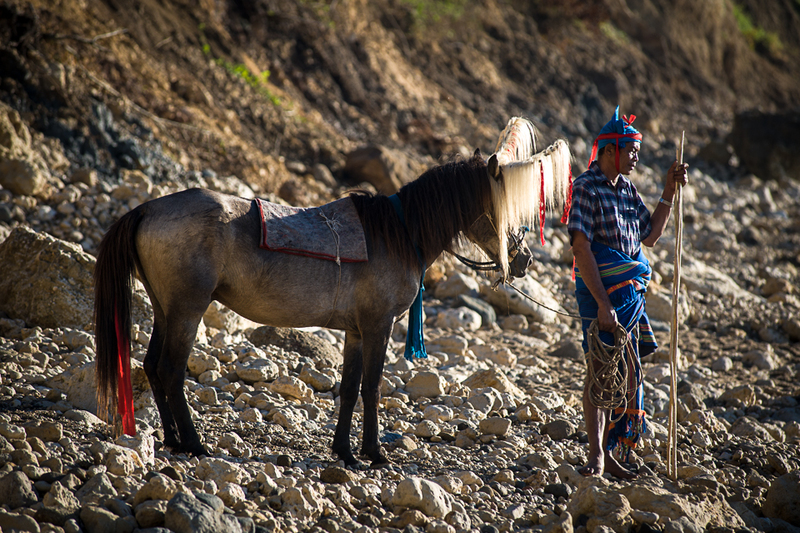 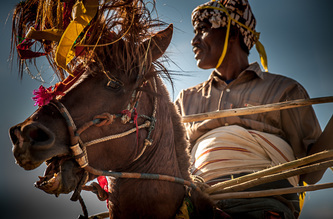 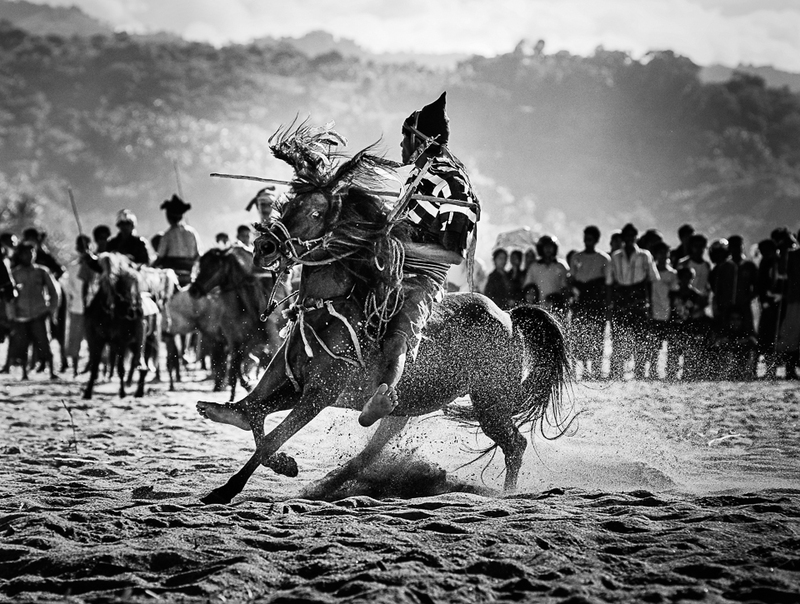 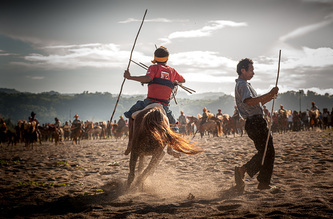 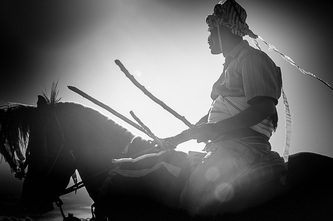 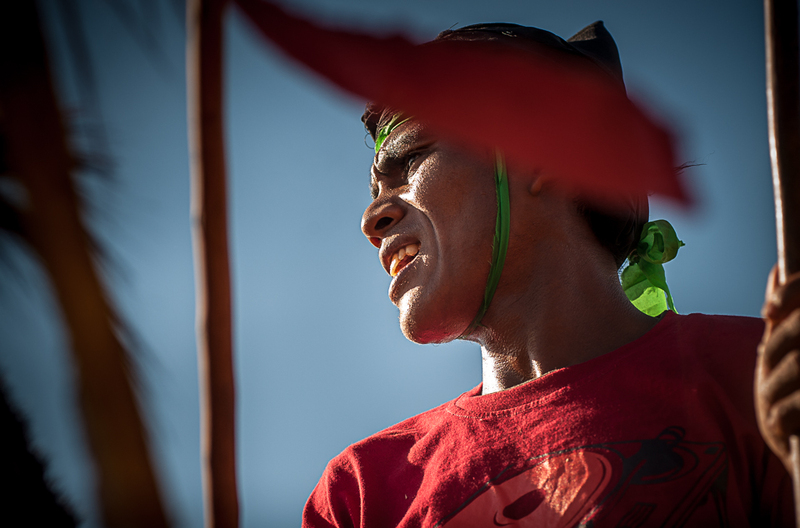 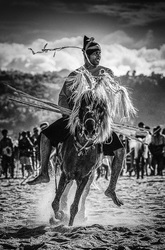 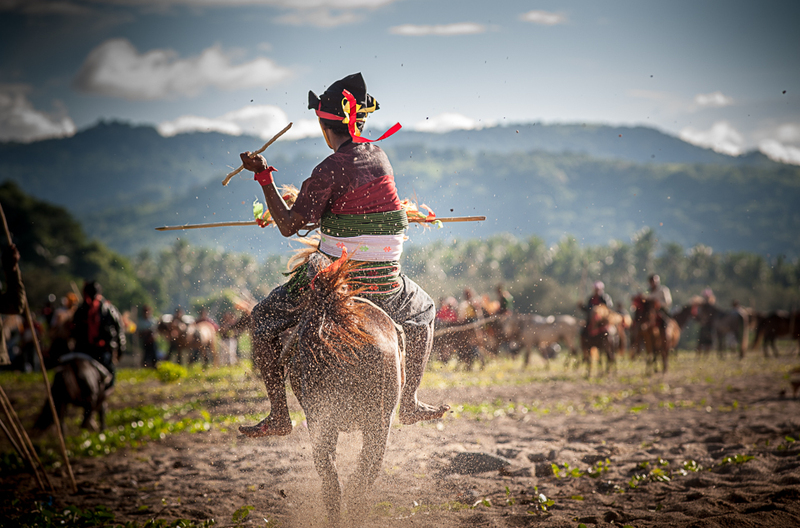 Another long-lasting tradition to celebrate the rice-planting season is the sometimes-lethal game of Pasola, in which teams of often several hundred horse-riders fight with spears. 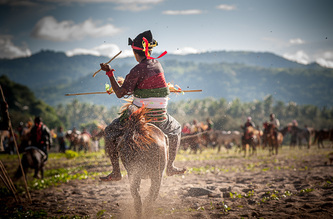 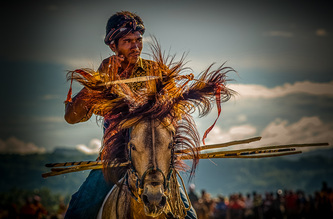 The game is played by throwing wooden spears to the opponent while riding a horse. 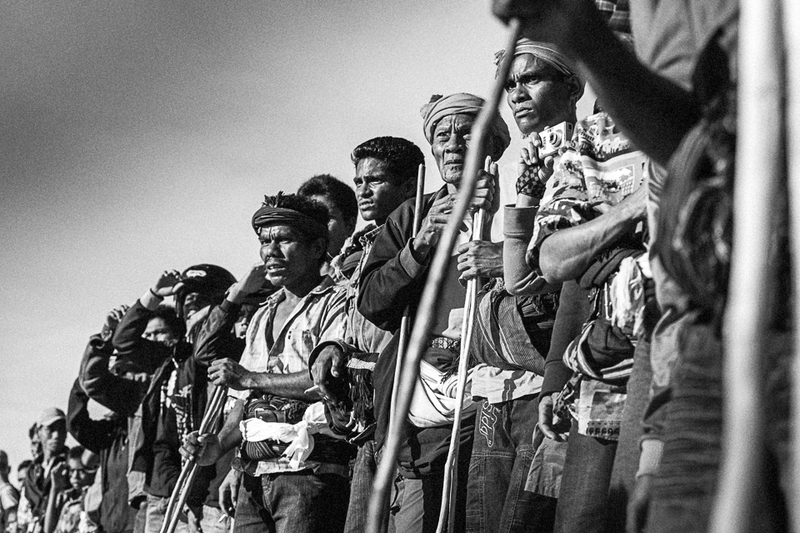 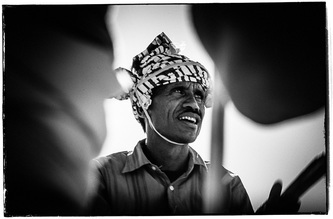 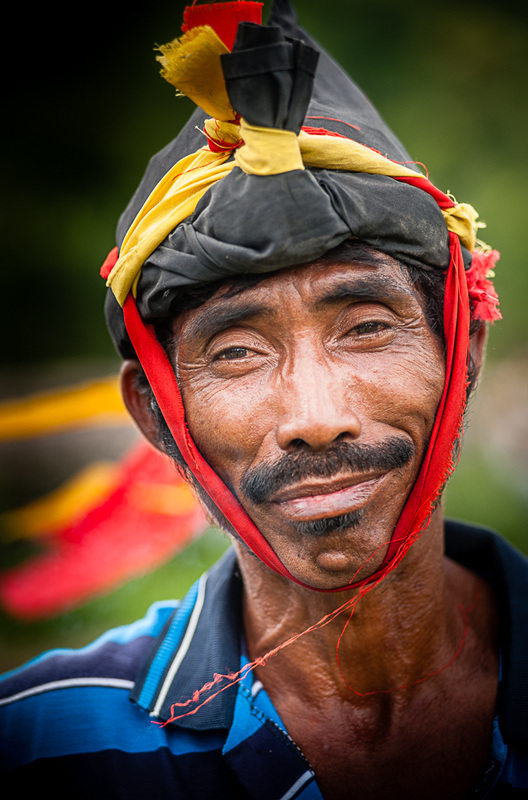 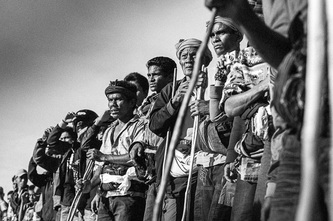 The game is played by two different groups of men from different clans or tribes. It is a game that requires a high skill of riding horseback and accuracy in hurling spears. 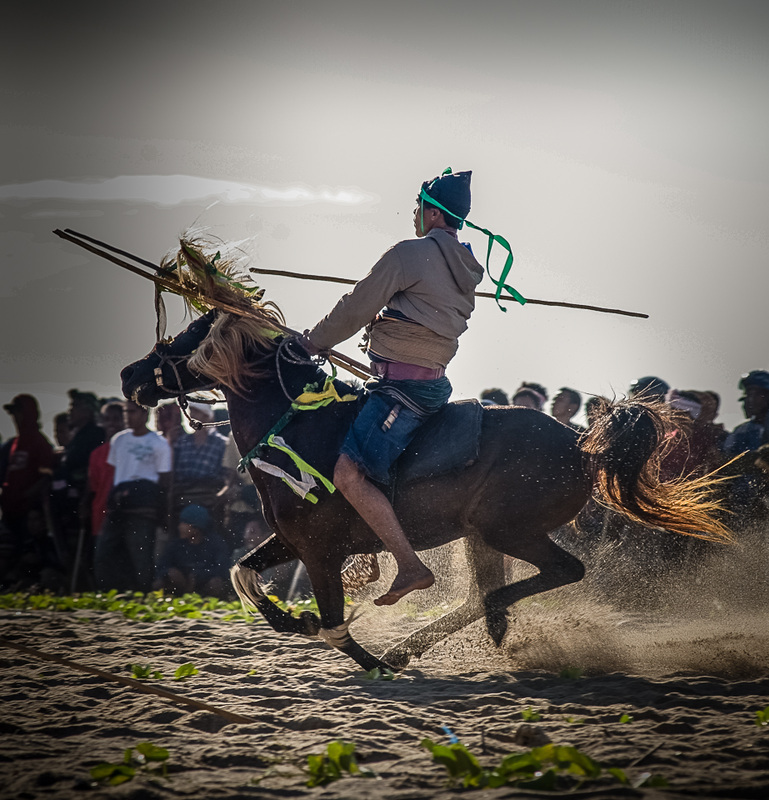 Most of the times it ends up in a bloody game when the wooden spear hit the bare flesh of the participant. In the Sumbanese ancient beliefs, the spilled blood will fertilize the land and multiply the output of the paddy. 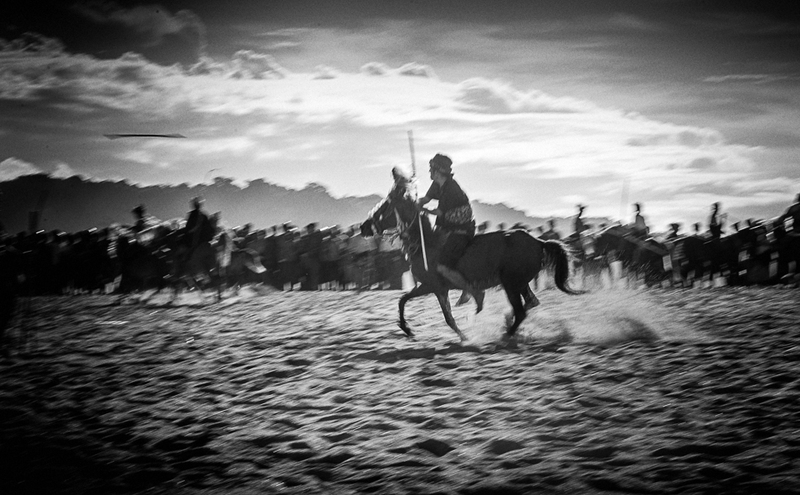 Religiously speaking, the ritual battle of Pasola, is essentially a fertility rite. 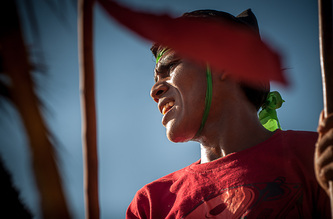 Different acts of the Pasola ceremony: I compare this ceremony to a «pièce de theatre». 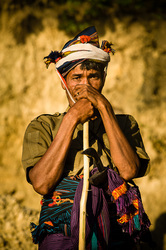 Following is an example of a Pasola in the village of Lamboya near the village of Waikabubak. 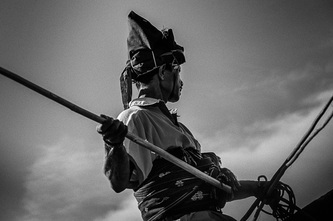 This usually takes place in the month of February. 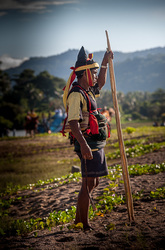 Depending on the calendar and the decisions of the Marapu priests. 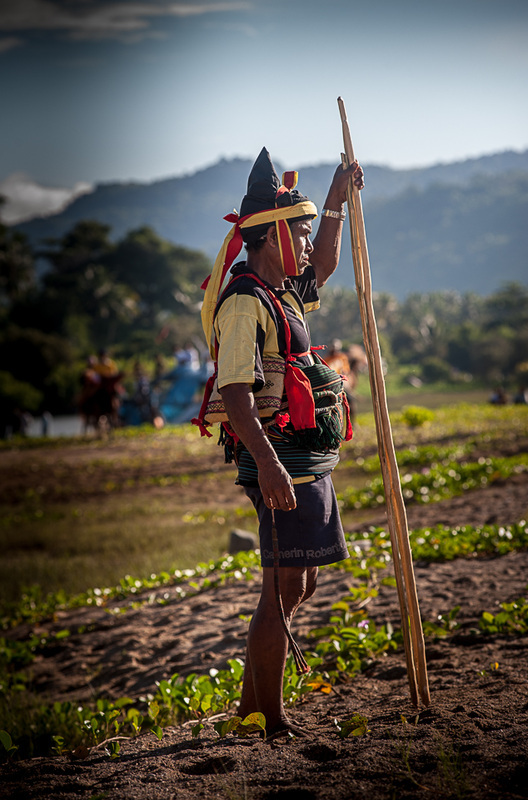 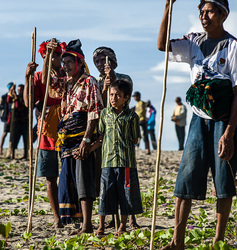 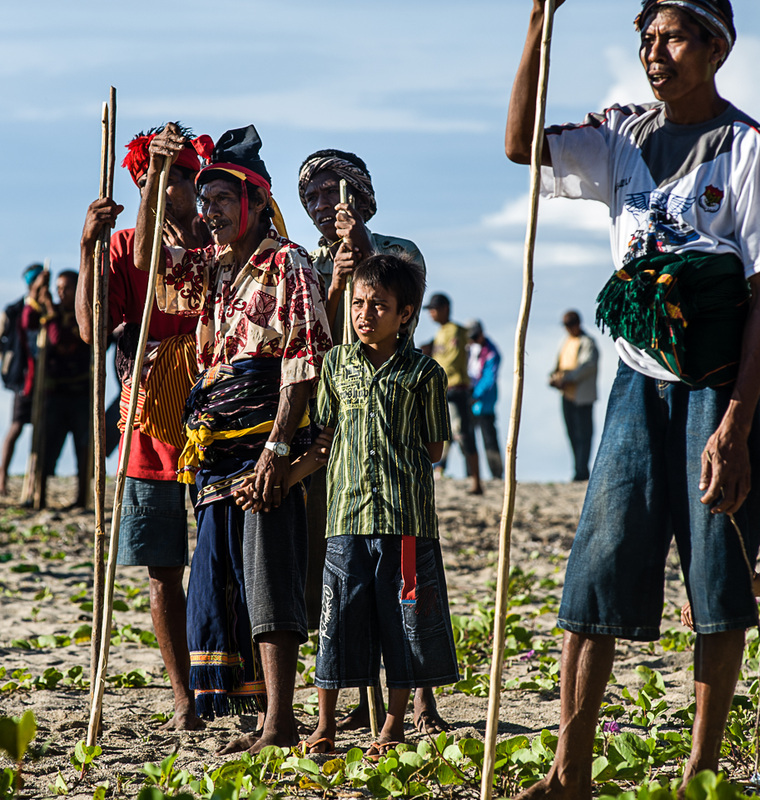 First scene: Early in the morning the marapu priests and their entourage go the beach to perform a prayer. The day before, they sacrifice a black rooster to the gods and check the heart of the animal to read the signs from the gods on whether to proceed with the pasola as they attempt to gain the answer to their question by this ritual of divination. 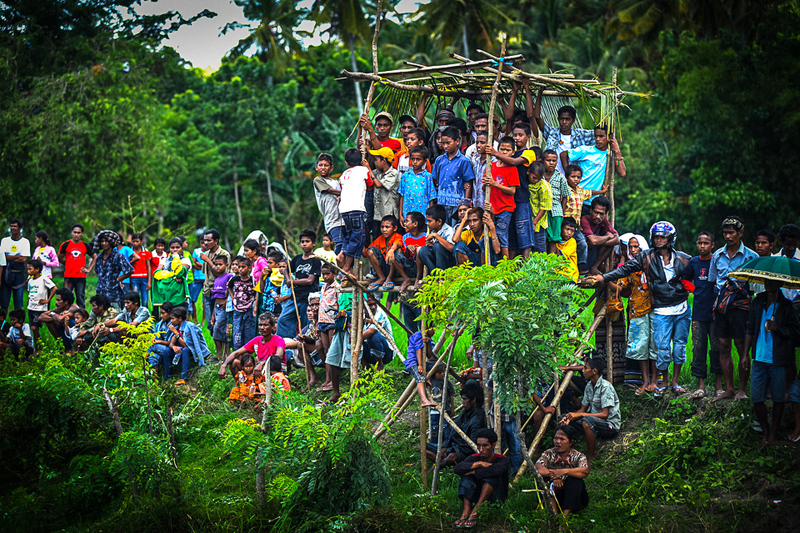 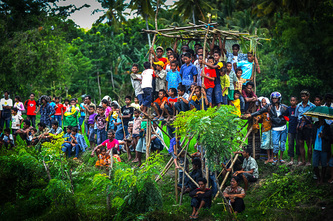 Third scene: The marapu priests then proceed to the area where the game of Pasola will be played.